This vocalist / composer / arranger definitely brings her multi – cultural experiences into her music. “We are so privileged in this day and age to have an open door to other cultures and perspectives that enrich our own.” And she brings it to light through her style. Described by the Music Maker magazine as “absolutely top-class”, she is one of the most dynamic vocalists in the jazz scene. Deborah also has four other solo CD’s. Her first,” ‘Scuse Me…”, is a flavorful combination of jazz, latin, blues, and gospel. This CD received rave reviews from the international press and one of the first presentation concerts was at the 1998 North Sea Jazz Festival. She later launched a second CD which paid homage to the moon and the nocturnal life with the title song from her own songbook of originals: ” ‘Round Moonlight”. Her third CD, “Girl-Talking!”, is a energetic live performance in The Hague, demonstrating her dynamic stage performance. Deborah’s fourth CD, “Daytripper”,features eleven tracks of fresh and original versions of Beatles’ material. At a very young age Deborah began as a woodwind instrumentalist in Hawaii and later started learning music theory, arranging, and composition in her early teens in Japan. She continued her studies at the prestigious Berklee College of Music. “All throughout my younger years I was blessed with wonderful teachers and friends that encouraged and inspired me to flourish and grow in music.” She also initiated her experience in theater during her 3-year sojourn in the Orient playing several lead and supporting roles in Broadway musicals presented by a young American theater group there. During her residency in Spain she collaborated on CD’s with Max Sunyer, Carles Benavent and Salvador Niebla adding vocals to their typical brand of Mediterranean jazz. “My musical influences while living in Spain added the right amount of passion and intensity to my art.” She also worked in theater in Madrid, then formed her own jazz quintet with whom she appeared in many jazz festivals in major cities in Iberia. She has been an invited guest on national TV and radio shows in addition to acquiring ample experience as a session singer for TV and radio commercials. Besides working with her own group, with whom she performs many of her own arrangements and compositions, Deborah also loves to sing the great jazz classics as a guest artist with a number of established European jazz orchestras. Some of these are: the Metropole Orchestra, the HR (Frankfurt Radio) Big Band, the Frankfurt Radio Symphony Orchestra, Sedavi Latin Jazz Big Band with Mike Mossman (arranger for Tito Puente), the Berlin Jazz Orchestra, the Holland Big Band, the Konrad Koselleck Big Band among others. 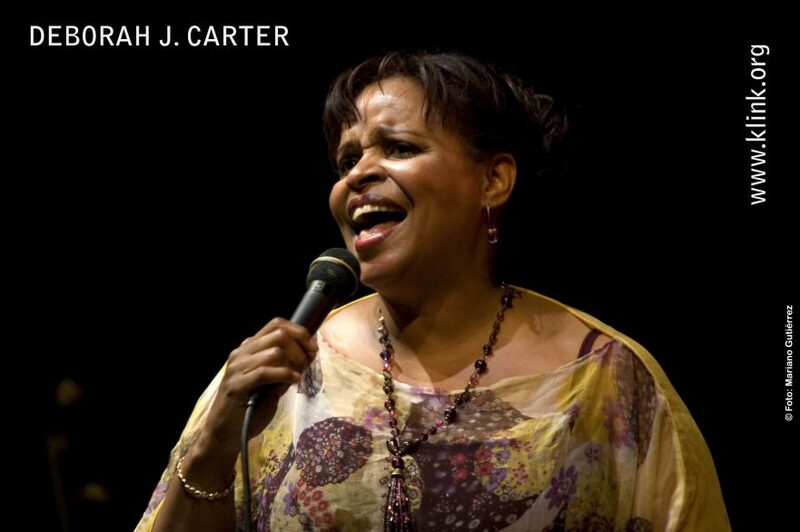 She has done several tribute tours, among which are the “Duke Ellington Tribute” in 1999, “Tribute to Louis Armstrong” in 2000 with Scott Hamilton, and “The Jazz Legends” with Michael Varekamp and Frits Landesbergen in 2003. Other projects she was involved with was the Jazz Impuls concert series in Holland, doing a tour with the “Pitch Pine Project” playing her music from her Beatles tribute album and later touring with a “Jazz Boogaloo” program, accompanied by the B&W Quintet. At the end of 2008 she colaborated in a project, combining blues and world fusion, called Fado Blue, with Fernando Lameirinhas and the Portuguese fadista, Daisy.